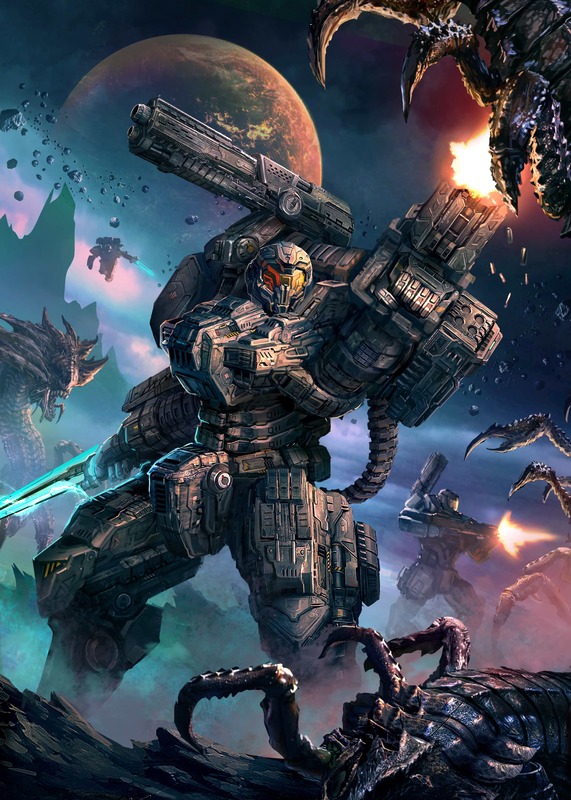 Whenever you consider making a house rule, or adding a tweak to the game, or even basic considerations of what kind of sandbox excitement you should be offering to your players, you must always think about the specific players you have. I find this advice critical; Don’t play and prepare for abstract fun, but for the fun that your group will have. This section also implies the near unattainable game balance of a rules system for more than one game group. Each group brings its own style, preferences, and approaches to a game. The group should refine the rules to account for their preferences. All throughout Stars without Number, the game speaks about the lethality of the system. This section dives into how you might, in discussion with your players, alter the rules about character death. And we get additional discussion about adding new characters into the mix; Hint: get a new character into the game real quick, and make them the same level (or one less). The player lost a character don’t further punish them by forcing them to wait a long-time to bring a new character to the table. Be charitable about success; Don’t force trained characters to make routine checks. Don’t spam checks; One role for the general course of a skill’s usage. Once you determine success or failure push additional choices onto the player (e.g. you failed, and can take additional time to get it right or its a quick fix and I choose when the fix fails). Don’t require skill checks if there is nothing associated with the failure. And remember character actions may obviate the need for skill checks. If they say they are searching the room by looking under the bed, then if something is under the bed, give it to the players. Again, a reminder that combat can be fairly lethal. Give players bonuses or automatic success for ambushes and tactics. And do not forget morale. Any RPG that has social skills needs to discuss the relationship of a character’s social skill and the player’s social argumentation. Stars without Number discusses expectations of players when they spend points on skills. And that players may not have experience in the skills that their characters do. This tension is most notable when you have a glib player that has a no-social-skills character. Or a tongue-tied player that has a master elocutionist character. The key…is to let both skills and player argumentation have a visible effect on the outcome, so that players feel that both matter. Advice about not attaching critical information to a dice roll. Some GMs just let the PCs all make Notice checks to see if they notice some- thing hidden. This has the advantage of being quick and simple, but it also can put vital information at the mercy of good dice. Other GMs require the players to specifically say what parts of an area they’re searching, what they’re looking under or inside, and otherwise describe the specifics of their search. This can penalize players who don’t correctly envision the area the GM is describing. One compromise is to simply give players vital clues when they say that they are searching, and then use one or both of the other methods to let them search for supplementary facts and helpful details. As a GM, be generous with information. Do not assume they will read through the lines. It can be tedious to handle the logistics of salvage and unbalancing to the game to allow PCs to cash in on every alien fork and wall panel they can drag back to civilization. Perhaps most importantly, there is no such thing as interstellar bulk shipping in Stars Without Number. Even the largest spike drive ships have cargo capacities measured in a few tens of thousands of tons, while a modern oil tanker has a capacity of around 500,000 tons. Trying to run a meaningful trade in bulk commodities has been a lost cause ever since the jump gates failed and massive system-ship freighters could no longer make the jump between worlds. Such commerce can exist inside a system, with huge slowboats moving from planet to planet, but modern trade relies on carrying small loads of high-value goods or expert services. The above emphasis is mine. Adventurers can make their wealth with a fast ship and precious cargo. Provided within this section is a set of quick trade rules: encoding skill, risk, and reward. Take a look at Suns of Gold: Merchant Campaigns for Stars Without Number if you are interested in more exhaustive trade rules. It’s a rather quick and easy switch from the prior Stars without Number edition to the revised edition. The House Rules section discusses some house rules and their possible impact. Stars without Number provides generators for Arabic, Chinese, English, Greek, Indian, Japanese, Latin, Nigerian, Russian and Spanish names. Stars without Number provides a single page to generate a random NPC using a d4, d6, d8, d10, d12, and d20. Below are the results of one of those rolls. Stars without Number also provides a single page to generate a one roll patron using a d4, d6, d8, d10, d12, and d20. Below are the results of one of those rolls. Build this upon the above NPC. And last we have two one roll tables to generate Urban and Wilderness encounters. Wrapping up the free version we get character sheets, an index, and list of kickstarter patrons. 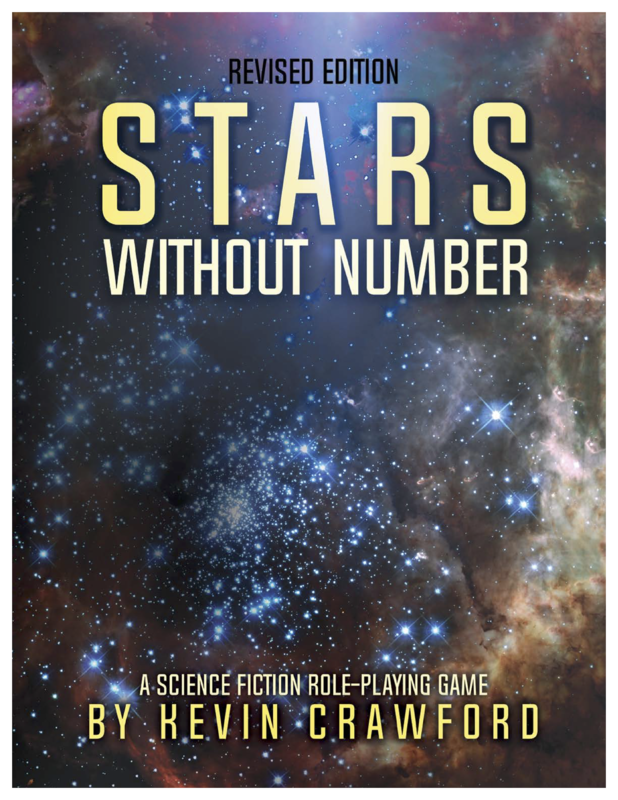 Let's Read “Stars without Number” - Game Master Resources by Jeremy Friesen is licensed under a Creative Commons Attribution-NonCommercial-NoDerivatives 4.0 International License. Based on a work at https://takeonrules.com/2019/01/19/lets-read-stars-without-number-game-master-resources/. Permissions beyond the scope of this license may be available at https://takeonrules.com/more_permissions/.